A boy and his dog—always a good bet for a book. 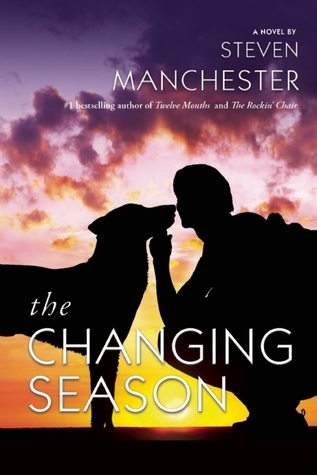 I hadn’t read a book by Steven Manchester before I picked up A Changing Season. I wasn’t sure what I’d be getting into. Books with dogs tend to be bittersweet and while those are good books, I wanted something a little lighter. I got that with this book. Yes, there is tension and more than a few black moments, but all in all, it’s a good read. I liked the bond between Billy and Jimmy, his dog. Being an animal person myself, I could relate to the way the two were together. Dogs can be the best of friends for a human—if the human lets the relationship happen. I liked how the author allowed Jimmy to be that silent voice of reason and comfort for Billy. There were moments in the book that were a tad predictable. I won’t go into what so I don’t ruin the story, but honestly, the predictability didn’t take away from the enjoyment I had while reading. I liked the book and if you’re looking for a coming-of-age book that has a lot of heart, then this might be the book for you.